Check out this AIGA Austin-organized panel on the relationship between illustration and zine design from a POC/women/queer perspective. Claudia Zapata (art historian and curator) and Claudia Gizell Aparicio-Gamundi (graphic designer and illustrator) will moderate a panel featuring Isabel Ann Castro (designer of st. sucia zine), Sixto J. Zavala (designer of raspa magazine), Ashley Hicks (designer of kwueen shadez). Topics to be discussed are what illustrators need to know when working with graphic designers, vice versa, issues of diversity in independent media and design, and whatever you bring to the conversation #DiverseZinesAIGA. 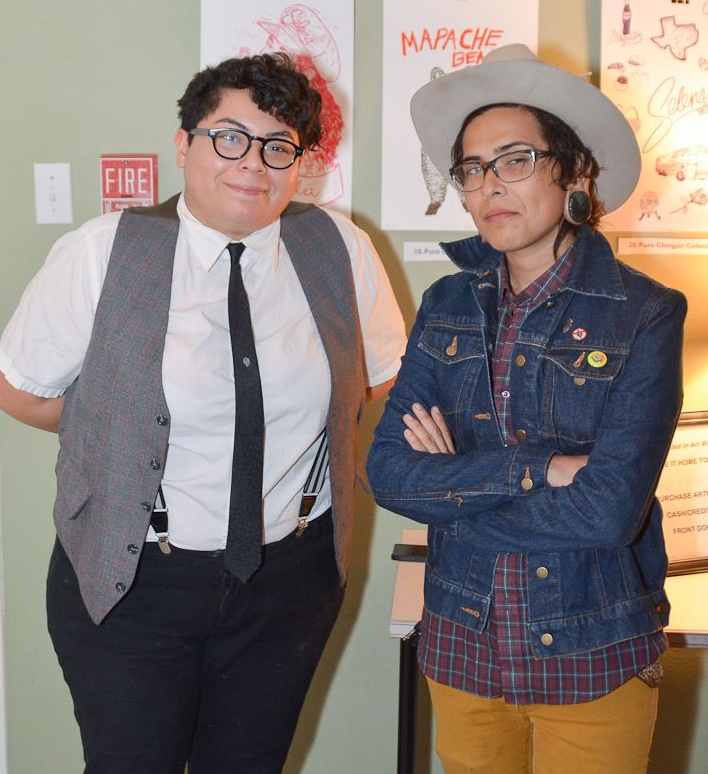 The Claudias also work together on a zine called Chingozine along with artist James Huizar.